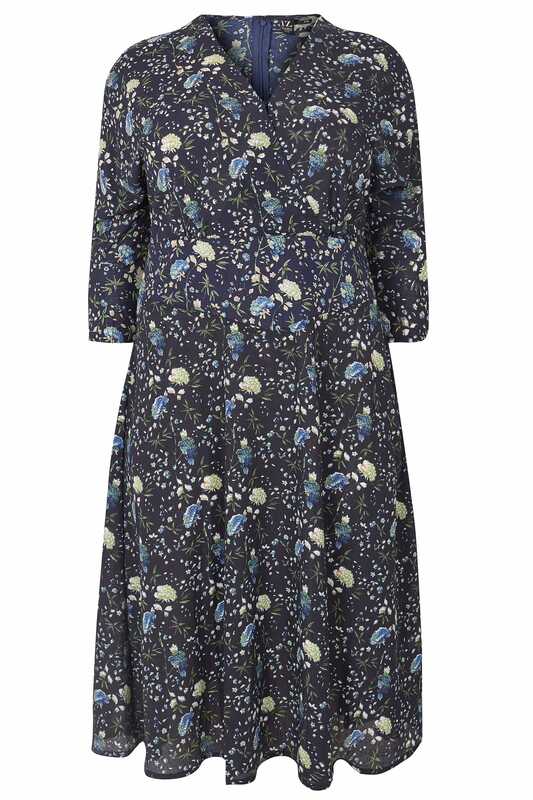 Add a flourishing floral update to your wardrobe with this elegant midi dress. Cut just below the knee, its flattering wrap style features a v-neckline with a concealed button fastening, a zip back for a secure fit and 3/4 length sleeves. Style with a pair of high sandals for dinner-to-drinks appeal. 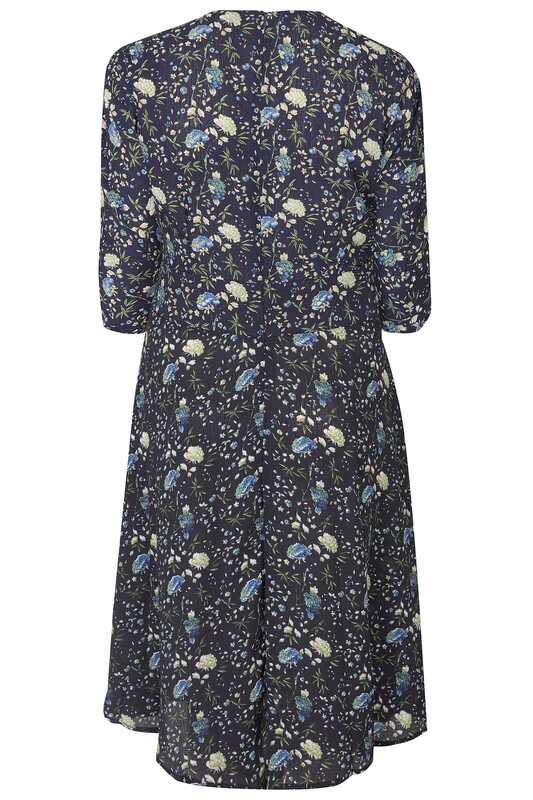 In a deep navy hue boasting an all-over floral print, it is a versatile option for year-round styling.